Someone once famously said that all you need is love. We think we also need nachos, gas money, and cool stuff to watch on TV, but peace and love are definitely on that list, too. 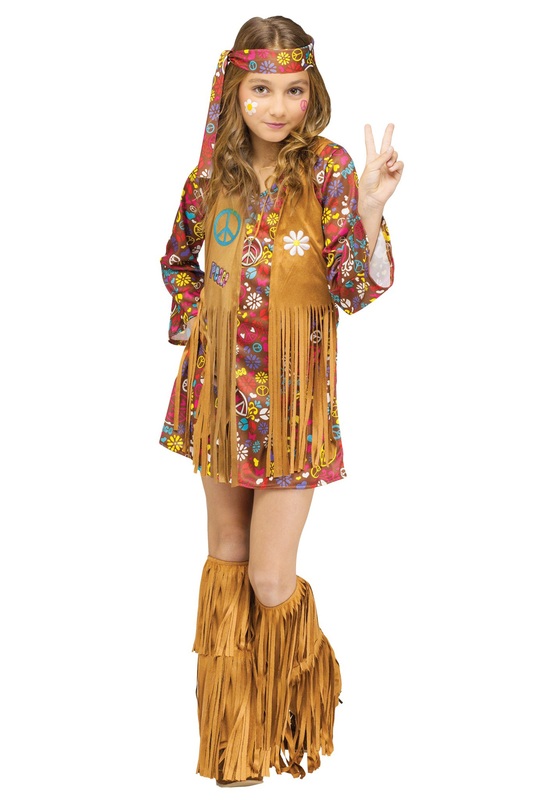 When your little gal is wearing this groovy Peace & Love Hippie Costume, she can help spread some good vibes, and everyone can just, like, mellow out, man! 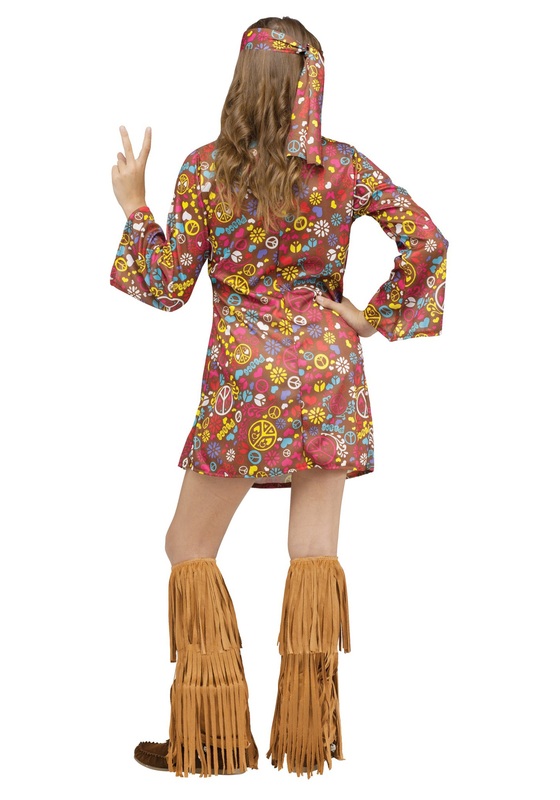 While this hip look will let your kid to show how much she digs universal love and world peace, there are a bunch of other things she could do to get into the groove even more. She could start a jam band with her pals and go on tour around the block, putting on folk festivals for the neighbors (trust us, once they put on a mini-Woodstock, lemonade stands will be a cinch). Or, if she's getting ready for Halloween, she could make flower garlands to give to her fellow trick-or-treaters to add a little good karma to the festivities. Nothing brings harmony to a bunch of kids dressed up as different monsters, superheroes, and cartoon characters like flowers and groovy jams! Okay, maybe all kids these days aren't into vintage hippie stuff, but that totally won't stop your little one from having a blast in her costume! This wild dress and the matching headband have symbols of peace and love printed all over them. It also comes with a fringed faux suede vest attached to the dress, along with some matching boot covers. If she needs any pointers for cool accessories to go with her retro ensemble, anything beaded or tie dyed will be just far-out, man!